I thought I would share the study that I am going through. I am doing this study with two of my friends, my accountability squad, and I am really excited. So far, this woman is saying all of the things I know that I need to do, and she's backing it up with scripture and coming at it from the right angle. 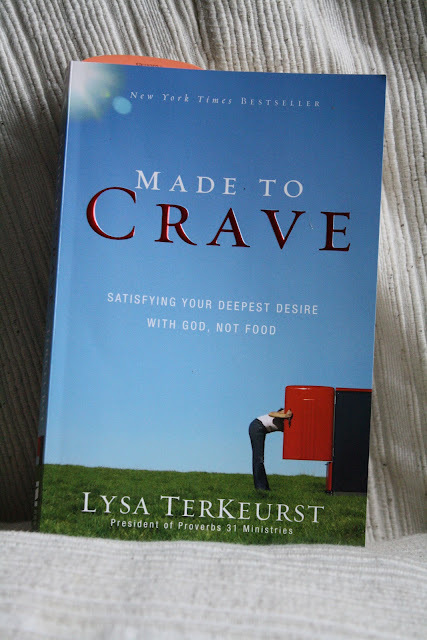 The study is called Made to Crave and it's written by Lysa TerKeurst. This book is so good. It's like God is speaking directly to me and where I am on my spiritual journey through this book. And it's not because of what Lysa says as much as it's about the scripture references she uses. Plus, Lysa gets it. She understands that this weight loss issue of mine isn't about getting thin and following the expectations of society, it's about obeying God and craving a relationship with him more than anything else. If you know me and have seen me in the last 9 years, you know that my weight has continued to go up. Yes, I've given birth to 3 kids, and I can't expect to be the same size as I was b.k. (also known as before kids). I mean there is no exercise out there that can undo the effects of stretchmarks, but my weight has gotten out of control in the last few years. My friends and family (and my amazing husband) are nice enough to love me anyway, and not be critical of my weight. In fact they can be quite complimentary at times. For which I'm thankful. But the real issue isn't what I weigh or how I look, it's my heart attitude. I haven't wanted to surrender this area of my life enough to actually see long term change. Here's a quote from the book that nailed it on the head so to speak with why I've never really put in the effort to lose weight. "It's not the 'how to' I'm missing. It's the 'want to' . . . really wanting to make changes and deciding that the results of those changes are worth the sacrifice." The desire to be skinny and 'look good' has never been a good enough 'want to'. The truth that the dressing room reveals while trying on swimming suits, has not been a strong enough 'want to'. I have realized that the only 'want to' good enough for me is a deeper relationship with Jesus. I think this book is going to help me. I'll still have to do the work. That's o.k. Because I'm not going to be moving forward in my own strength. I'm going to be moving forward with God's strength. 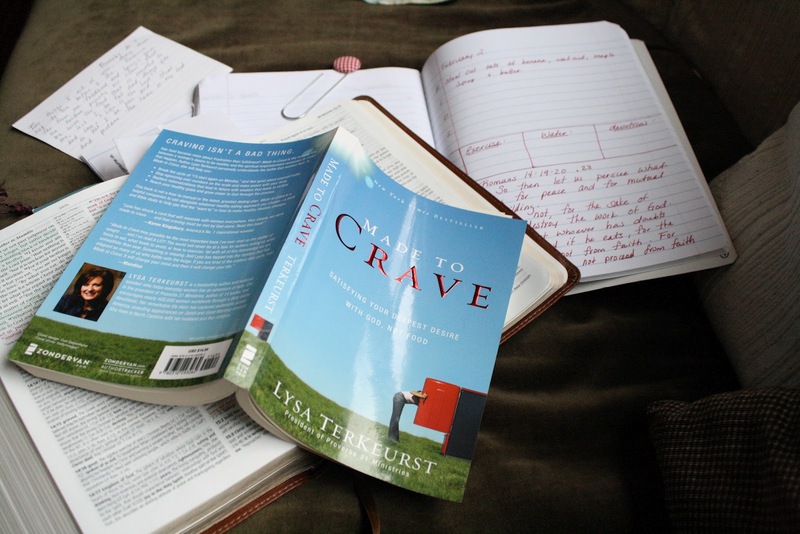 "God made us capable of craving so that we would have an unquenchable desire for Him, and Him alone." "My weight is a direct reflection of my choices and the state of my health." "Shallow desires produce only shallow efforts." "We were made for more than compromise. We were made for God's promises in every area of our lives." "Truth is powerful. The more saturated we are with truth, the more powerful we'll be in resisting our temptations." "We were made for more." That's just a small taste for you. Maybe what you've heard so far has really sparked your interest because you have some of these same issues. You can find out more about this study at www.madetocrave.org. I'm looking forward to the weeks to come. I'm looking forward to change.